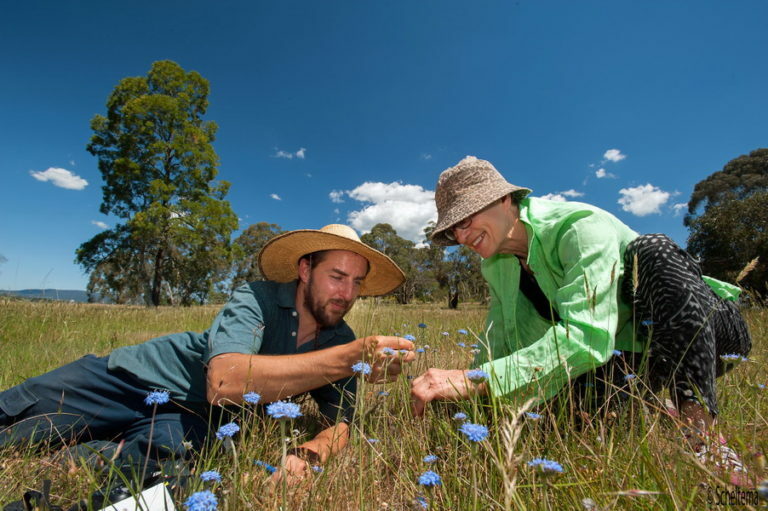 The UCLN and four of its member groups have been acknowledged for their vital work to protect threatened flora and fauna by being awarded more than $200,000 in funding from the latest round of the state government’s Biodiversity On Ground Action Grants. All these important projects align with the UCLN Strategic Plan and will help our volunteers continue to work towards protecting our precious environment, including threatened species. The UCLN received $46,485 to undertake citizen surveys over two years in our region. 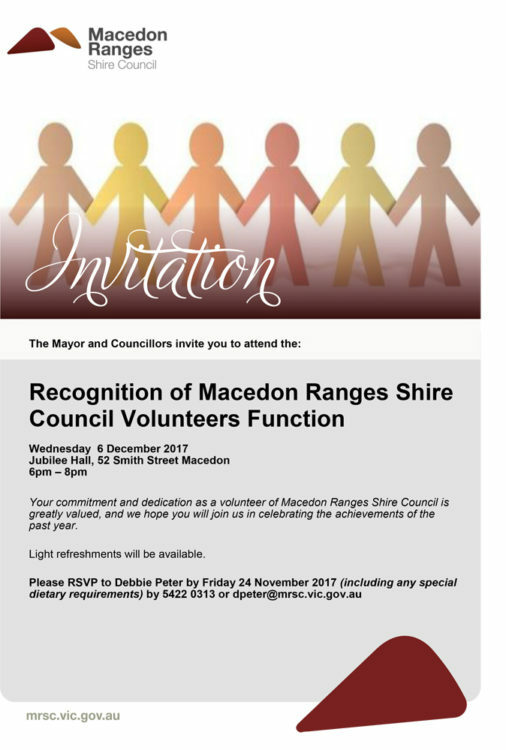 We will work in conjunction with the environmental officer from Macedon Ranges Shire Council and members of our Landcare and Friends groups to confirm the presence of powerful owls, greater gliders and the brush-tailed phascogale (all of which are listed as vulnerable under the Flora and Fauna Guarantee Act in Victoria). 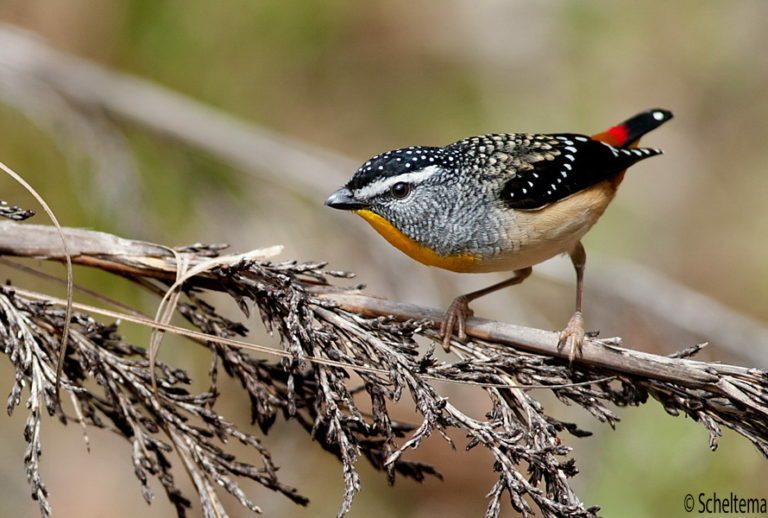 An experienced project officer will be employed to work alongside community members to conduct the surveys and enter data on these animals into the Victorian Biodiversity Atlas. The information gathered will help build an important database relating to vulnerable species in our area and therefore be a step towards implementing measures to protect them. If you are interested in getting involved with this project please save the date for the Forum on the 10th March to launch the project. Kyneton Secondary College won Biodiversity School Of The Year at the Resource Smart Schools Awards. 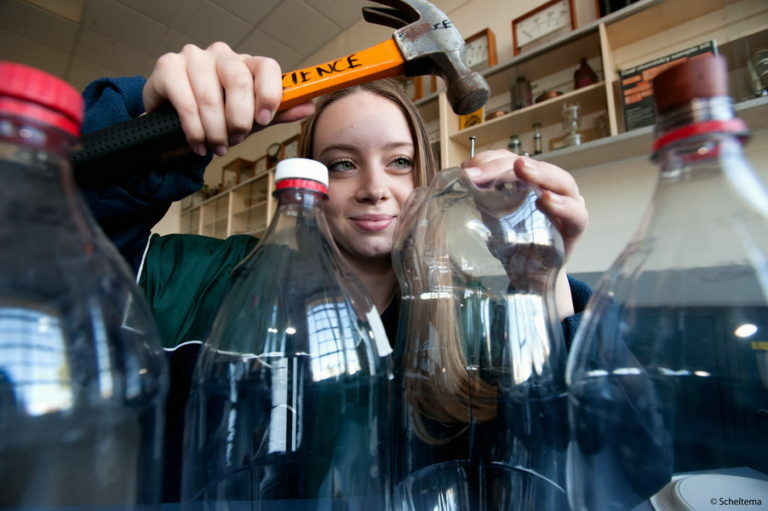 Sustainability Victoria received 150 entries from 87 schools. 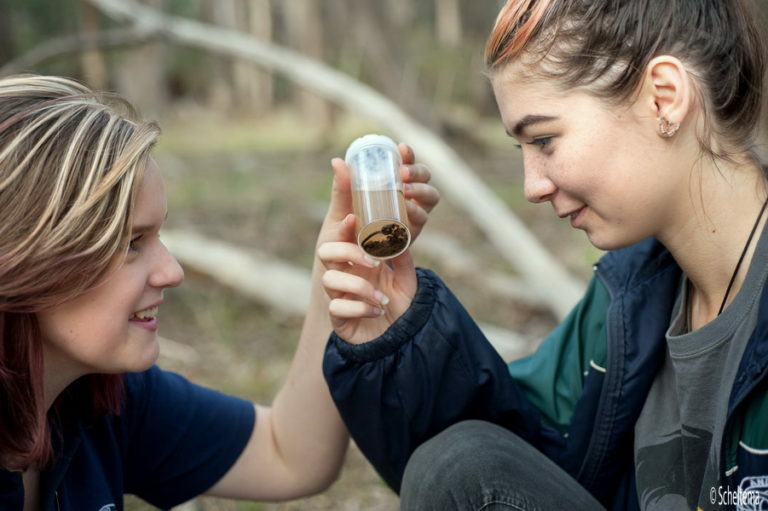 KSC students have been working with the UCLN and Friends of Bald Hill Reserve collecting data on insect populations at the Bald Hill reserve in research aimed at helping preserve populations of the endangered phascogale, as well as planting over 1500 trees along the Campaspe River with the Campaspe Land and River management Group. By monitoring insect diversity students hoped to identify how the availability of certain foods affected resident phascogales. Sustainability Victoria interim CEO Stephanie Ziersch said the awards showcased what was possible in schools and the wider community. “The awards really are the ultimate ‘show and tell’ and celebrate the achievement of schools across the state who are committed to sustainable action,” she said. 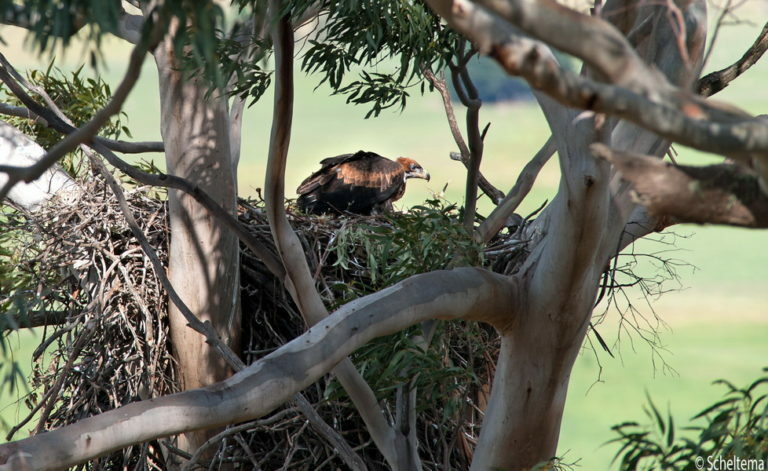 Pipers Creek Landcare members have been watching a juvenile wedge-tail eagle on the nest, the third time they have observed a a pair breeding in the Pipers Creek/Cobaw area. Returning to the massive nest built in 2014 the pair, having shared the incubation period of a month, hatched the chick around the 10th September. It first appeared as a white, fluffy chick about the size of a silky hen. Grey pin feathers appeared around a month later and the rufus brown, permanent feathers (pictured) at 2 months of age. The chick now spends considerable time on the nest rim flapping its wings in preparation for its first flight, around mid December. 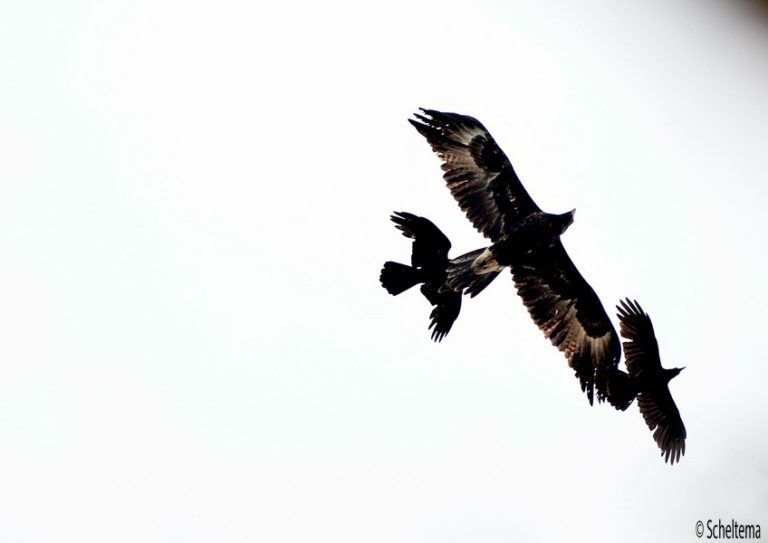 Keep an eye out for three eagles in Kyneton’s North Eastern sky around Christmas and New Year by which time the young chick will be about the size of its father. It will make its own way in the world about June. 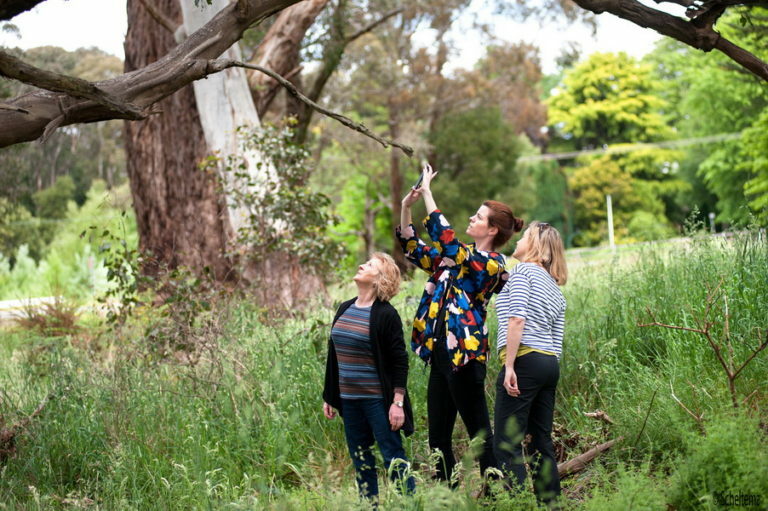 The UCLN Cobaw Campaspe Connections and Coliban Corridor Biolink projects are now coming towards the end of their second year of funding, with several ecologists being employed recently to survey areas of high conservation values within the biolink areas. About 45 people gathered recently at Newham Hall at a workshop organised by UCLN to discuss Native pastures.They learnt about how to create them, the importance of remnant grasslands and how we can help preserve them. Lead scientist from Greening Australia traveled from Sydney to present the workshop and afterwards participants visited Carlsruhe cemetery to look at native grasslands. Dr Gibson-Roy co- authored a wonderful book on the subject called “The Land Of Sweeping Plains”. The UCLN has been trialing the new Victorian Biodiversity Atlas App –VBA Go in conjunction with the Senior Biodiversity Curator from DEWLP. In order to protect the environmental values of our area it is important to record what is there. 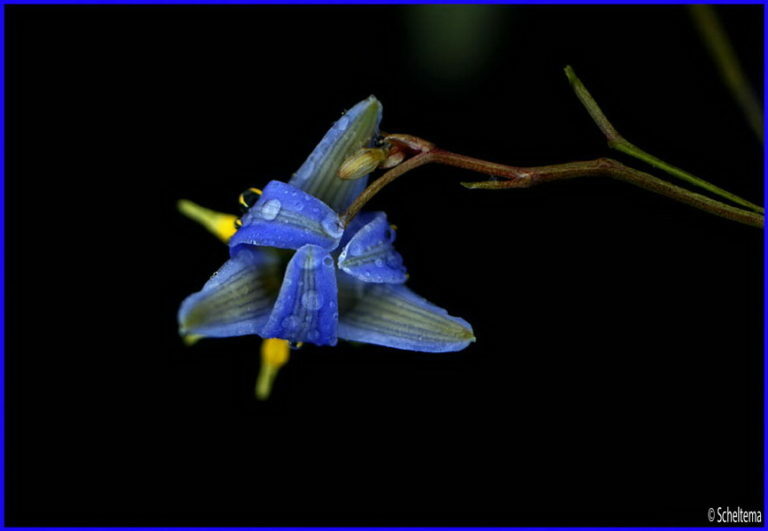 You can be part of entering important data in your groups area (For example Black Gums to rare orchids, phascogales or whatever your group is monitoring) by learning how to use this simple app. The Victorian Biodiversity Atlas contains all the collated information of flora and fauna sightings across Victoria. Unfortunately the atlas has a disappointing number of flora and fauna records for the Macedon Ranges.The new app – VBA Go, makes data entry easy. It is a pocket version of the atlas that can be used on smart phones. You can very simply see sightings recorded near you and record a sighting yourself. An “Introduction to the VBA Go App” workshop will be held at 5 pm on Wednesday the 13th of December 2017 in the Barringo Room at the Gisborne Shire Offices. Interested in getting involved? 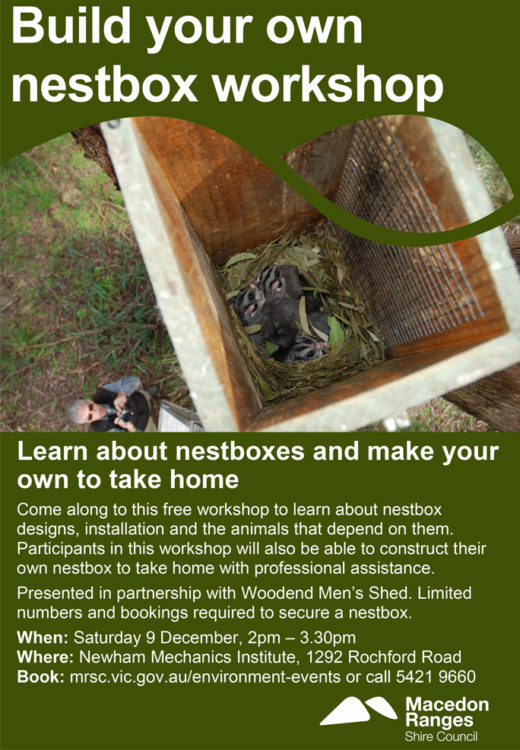 Contact Krista Patterson-Major on 5421 9503 or email kpatterson-majoor@mrsc.vic.gov.au to find out how to register for the atlas and to RSVP for the workshop. We will be conducting more workshops on using the VBA Go App next year. A seven-week-old barking owl named Skeksi stole the show at an Upper Campaspe Landcare event at the Cascades in Metcalfe recently. Despite being preceded in the display by a spectacular flying Nankeen Kestrel (who delighted the audience by occasionally landing on peoples heads), an Australian hobby and a little eagle, young Skeksi won over the crowd with her inquisitive nature, whole mouse eating ability and neck contortions. The display at the Cascades was held for the landcare community after the UCLN Annual General Meeting. 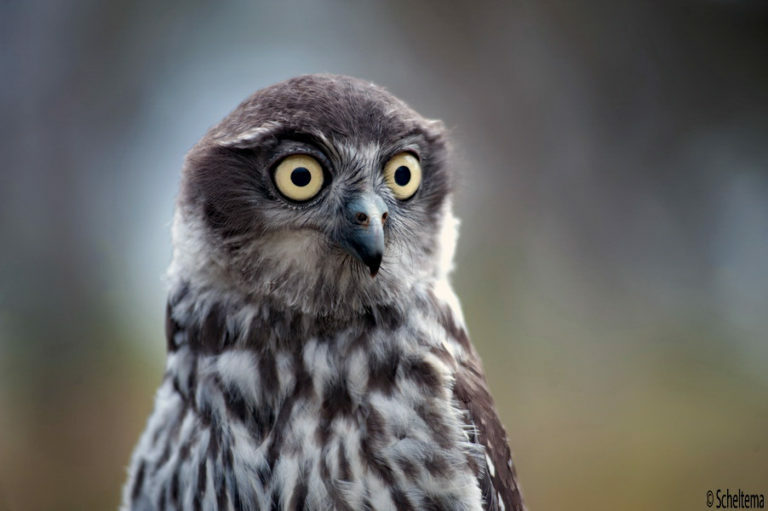 Barking owls are listed as endangered in Victoria and Martin Scuffins from the Leigh Valley Hawk and Owl Sanctuary spoke of the need to protect the habitat of these and other birds that are in decline.”It’s up to us to protect their habitat. Species minus habitat equals extinction.We don’t own the environment, it belongs to these creatures as well.” said Martin. 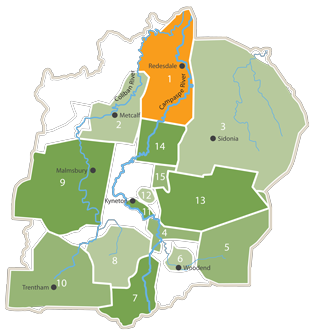 If your group falls within the Hepburn Shire Council boundaries you may be interested in having input into the HSC’s draft Biodiversity Strategy. On Thursday 7 December there will be an open workshop for groups to have input into the Strategy. The draft strategy proposes to involve landcare groups – so if you are able to attend and provide input that would be great. 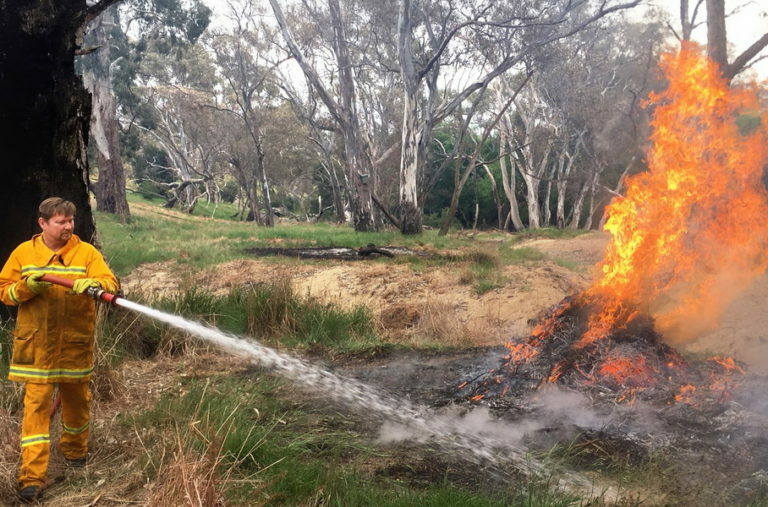 In September prisoners from the Loddon Prison in Castlemaine (part of the Landmate Program) undertook three days of gorse control at the Cascades, directed by Metcalfe Landcare. In a true example of community working together the local CFA then undertook a burn of the gorse which had been cut by the prisoners. Planting of indigenous grasses and shrubs will begin in Autumn. 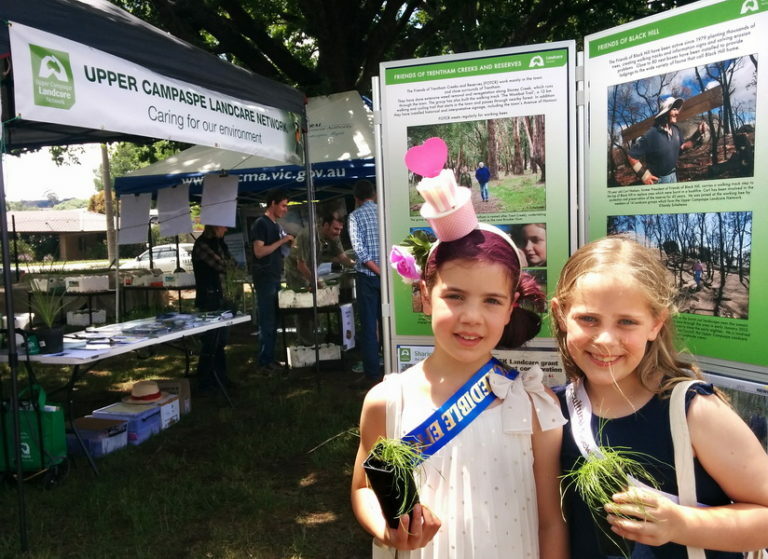 Some of the many visitors who visited the Landcare Stall at Kyneton Show to receive their free plant and learn about Landcare in the District. The UCLN was at Kyneton Show again this year and there was a lot of interest in Landcare activities in our district. Brendan Smith from Tylden Landcare was kept busy giving away native plants as part of the Show bags. He also provided plants to Lady Brookes Kindergarten in Kyneton as part of a Junior Landcare Grant Project. The UCLN recently ran a Rabbit Busters workshop well attended by over 53 people. John Matthews, biosecurity officer with Agriculture Victoria, spoke about the new RHDV1 K5 rabbit virus and explained how to maximize the impact of the release and help reduce rabbit numbers on your property. Landowners gained an understanding on appropriate use of the new virus and how to obtain it. 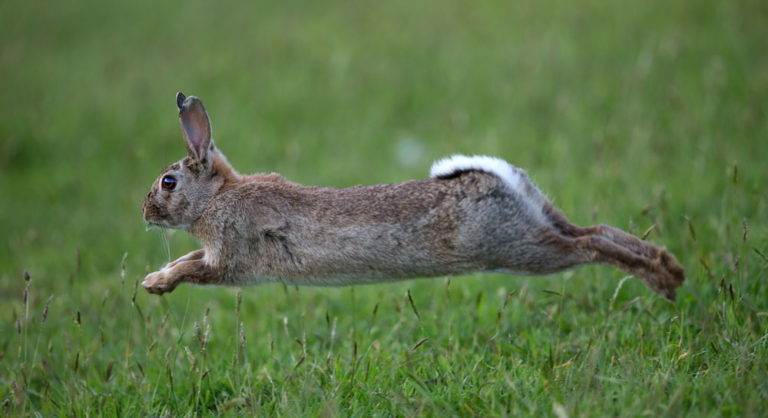 “The combination of an improved biological control agent in RHDV1K5, community led rabbit management, and using best practice rabbit management principles, should provide opportunity to manage and maintain rabbit numbers at low levels.” said Mr Matthews. Mr Matthews also provided information on the latest local, state, and national evaluation of the establishment, spread and impact of the virus, including where the virus has established, where it has spread and what level of impact it is having. A good time to release the virus is at the end of summer. Why not coordinate with your neighbors to purchase and release it if rabbits are a problem in your area? How can I purchase a vial of RHDV1 K5 virus? Date of when vials are needed. Why not celebrate World Soil Health Day by coming along to a Soil Health Workshop organised by UCLN at an Olive Farm at Edgecombe on Tuesday 5th December? Experts such as Martin Hamilton, Rebecca Mitchell and Dr Helen Hayden from Agriculture Victoria will be presenting. Dr Hayden has over 20 years experience working in soil biology and plant pathology in many different agricultural industries and in native ecosystems. Click here to book SoilHealthBooking Ring 5421 9660 or Send Email to book. 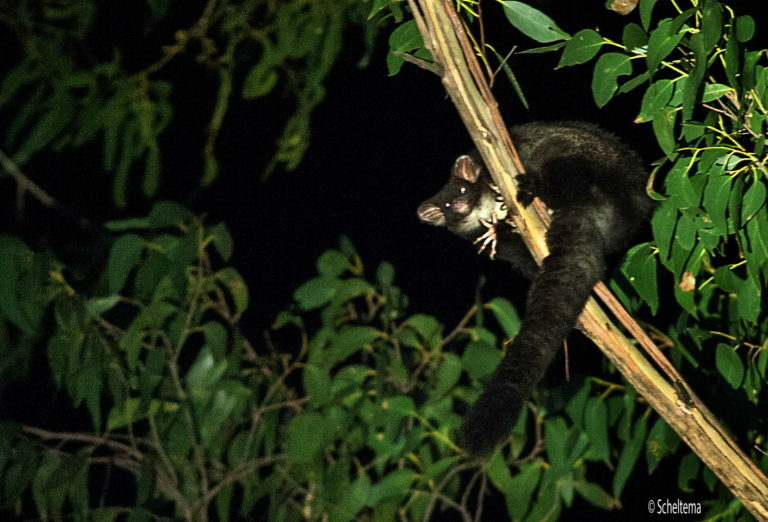 Come along to the launch of the UCLN Citizen Science project to survey for Greater Gliders, Powerful owls and Phascogales. 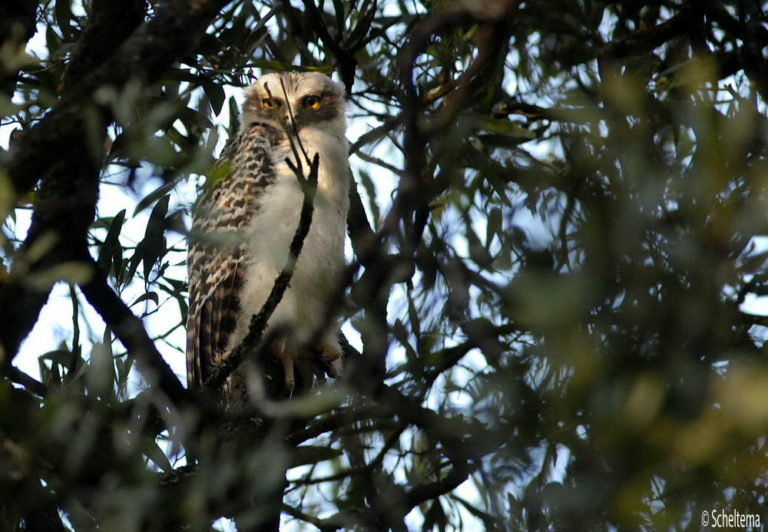 Learn from experts such as Senior Threatened Species Officer Todd Soderquist from NSW Office of Environment and Heritage (Formally NSW National Parks), who has a wealth of knowledge on Powerful Owls and phascogales. RIVER RESTORATION WORKSHOP – March 18 2018, 10-2 pm, Degraves Mill Carlsruhe. 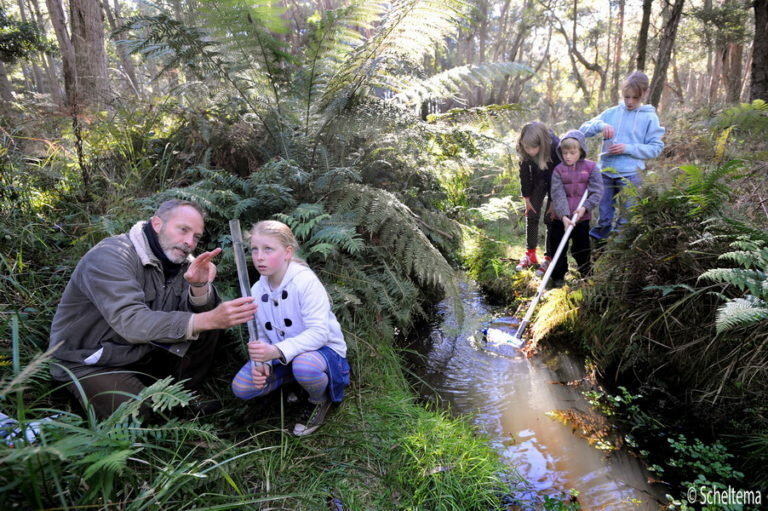 Join wetland restoration experts Damien Cook, Elaine Bayes, Angela Gladman, and experienced Landcarers at the historic Degraves Mill to learn about successful river restoration and the concepts of biolinks. You will also learn from property owner Steve Marriot about his successful long term river restoration project.Lunch provided. 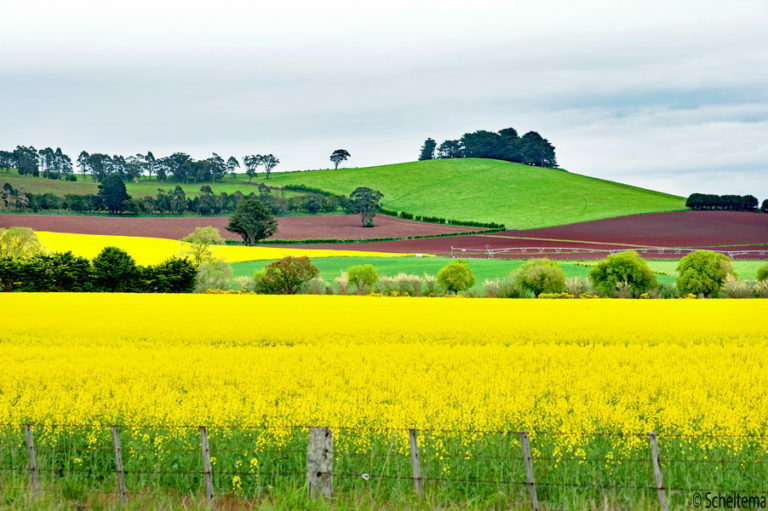 Landcare groups can now apply for the Australian Government’s Smart Farm Small Grants. 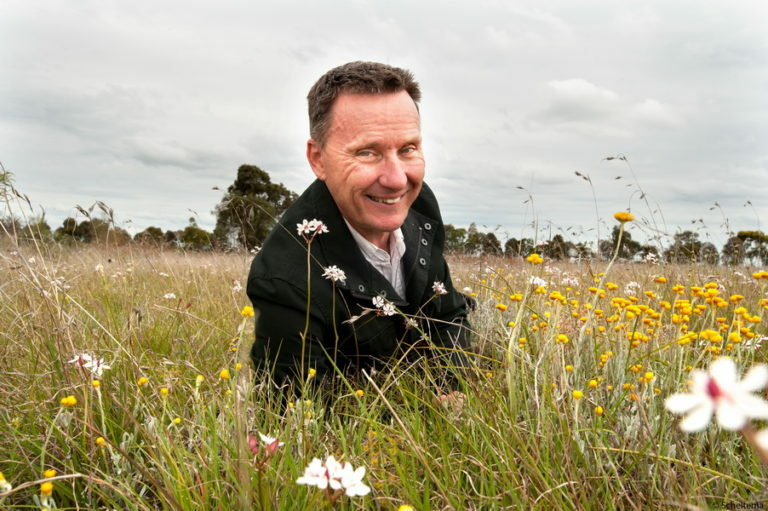 Small grants between $5000 – $100,000 for projects focusing on a range of topics including soil health, biodiversity, knowledge/capacity building, adaption of new practices, reducing greenhouse gases, sustainable agriculture trials and so much more! For further information on the Smart Farms Small Grants program. 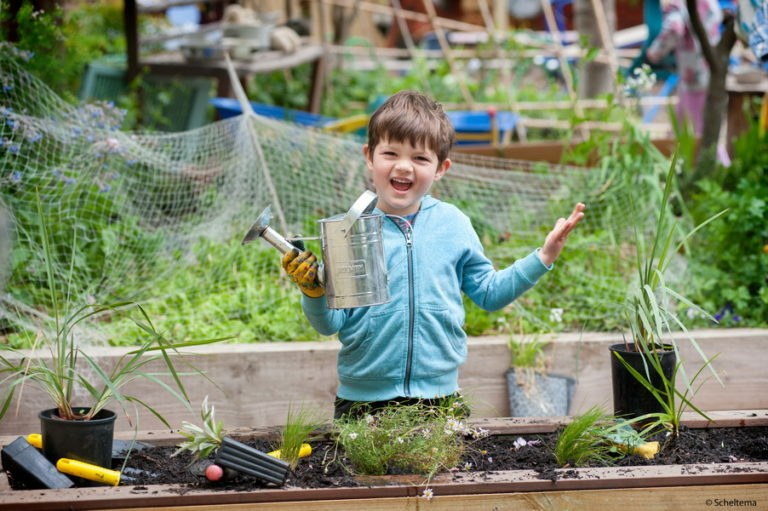 The grants provide support for groups or individuals undertaking projects that will make a positive difference to the natural living environment, in land, sea or air, rural or urban. 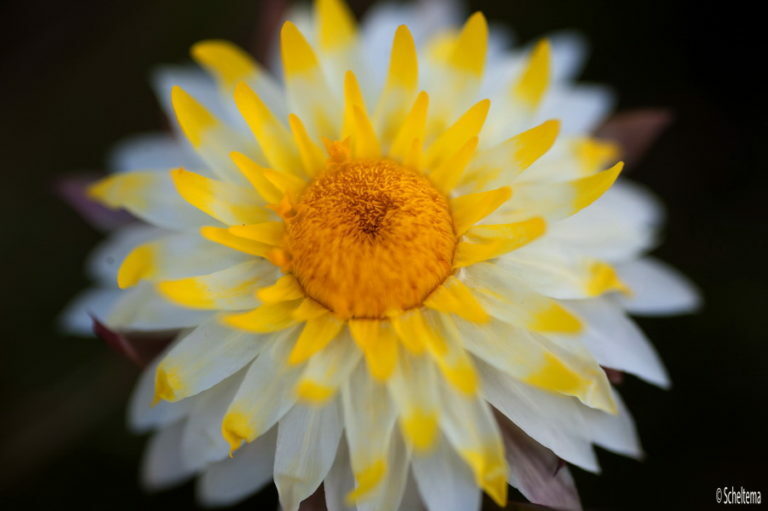 At the moment Norman Wettenhall are looking for projects around flora and fauna conservation, threatened mammal conservation, and landscape restoration and education. 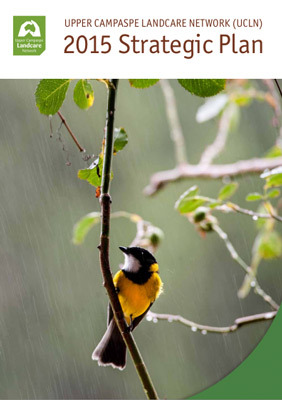 CLICK HERE LandcareMag to download Issue 70 of the Victorian Landcare Magazine. This issue features the Victorian Landcare Awards plus lots more….